The kitchen is the heart of the home. No matter how hard you try to have gatherings in other rooms, people always migrate to the kitchen! This is where the cooking happens, the family meetings, the dinner table and even where homework and backpacks get dropped, mail, keys, flyers and before you know it your kitchen is under a pile of debris! Kitchen organizers have come a long way. You can get an organizer for every cabinet in your kitchen and then some! 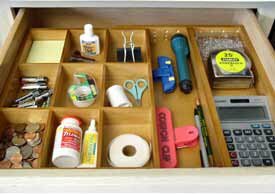 You can even get under cabinet organizers to take the load off the counter! Take a look at some of the products below and see if they give you any ideas for organizing your kitchen! You don't have to spend a lot to create the room and organization you crave. If you find your countertops are getting cluttered especially with all the small appliances, then you can store some of your supplies under the upper cabinets such as this k-cup holder for your daily coffee! Coffee Accessory Organizer - For the serious coffee drinkers, this organizer will keep everything you need for your coffee or tea or anything you want on your counter. It keeps it all in one spot with nice looking drawers that keep the clutter away. Tea Bag Organizer - If you love tea and different flavours then take them out of the boxes and instead of stacking the boxes and tins everywhere get yourself this organizer. It makes the flavours easier to see and easier to know when they need replacing. This alone can save some space if you are a avid tea drinker. Spice Organizer - This is on my wish list. I have a cupboard full of spices and I know some have worked their way to the back. This is a handy size, you could leave it on the counter or store in a cabinet and it doesn't take up much room. This way you don't duplicate any and they are there for you to see quickly, especially if you love to cook. 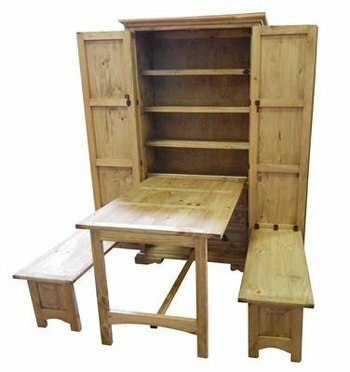 Microwave Cart with Storage - If you rent your space or simply have limited counter space, then getting a free standing dedicated microwave stand is another way to increase your storage area as well as organize many things underneath. Portable Kitchen Island with Folding Breakfast Bar - If you need more counter space for food preparation or more storage then this slim line kitchen island doesn't take up much space. When not in use it can be pushed up against a wall, but it also has a fold out breakfast bar for extra seating. Finding space where you can will help you to organize your kitchen no matter the size. If you find it hard to find all your tin goods then take advantage of all the space in your cabinet with a can organizer. You will be able to see all the cans at a glance and it will hold many cans! These shelves expand and can quickly take a cabinet and double the storage. They are strong and portable, no tools needed to just empty your cabinet and start stacking. Make use of the vertical space. Kitchen Cabinet Door Organizers - You can quickly put one of these into use in most of your cabinet doors. They simply fit over top without screwing or creating a mess or installation construction. Perfect if you are a renter and can't do any damage or modifications, or if you simply want to make each cabinet do double time when it comes to expanding available room. 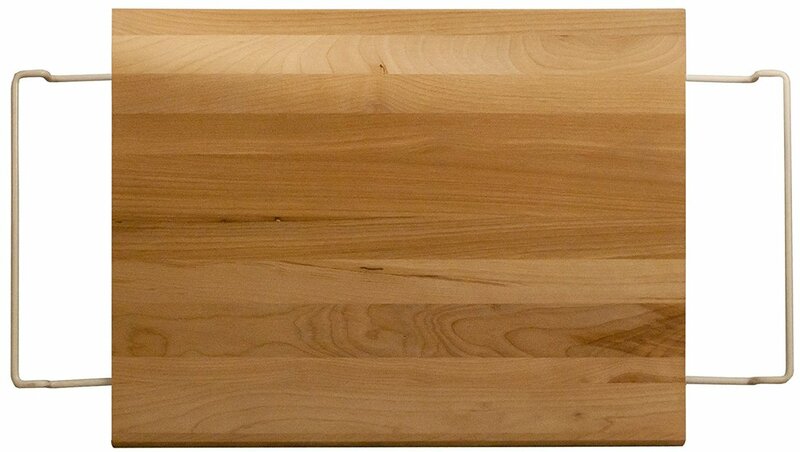 In the picture above you can see how handy this would be for cutting boards and baking trays. This may not look like much but you will be amazed at how much room you will have in your dishes cabinet once you use these affordable storage pieces. 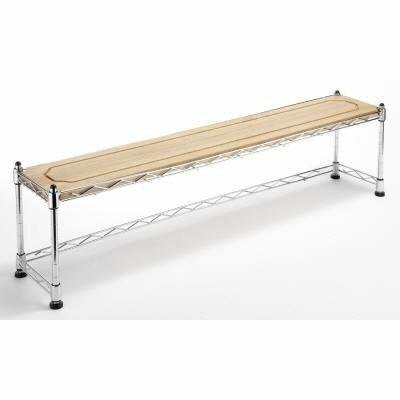 If space is seriously limited in your kitchen and you want a table for sitting, there is this fold out table similar to a murphy style bed. When you are done simply fold the table back up into the wall. There are shelves you can store your table accessories. Great idea for limited floor space. This is one of the best organizers I have ever used. It is an affordable way to turn a bottom cabinet into something more useable! This unit can stand alone or fit into any bottom cabinet. It measures 11.5 inches wide by 18.5 inches high and 17.5 inches deep. It has leveling feet so that you can adjust it to your cabinet floor. The drawers pull out so you are not wading through that cabinet looking for things. it is a great way to properly use a skinny cabinet and get organized. I used to cringe at the amount of junk that would pile up on the end of my counter from my family. I would put a basket there and that at least kept it in one spot but was still ugly and unorganized, until I found a Junk Drawer organizer! The best part about this wood organizer is that it is adjustable, so you can make it fit for your drawer. This way you can find things when you need them. Over the Sink Storage to the Extreme - This fits right behind your kitchen sink and can hold everything from paper towels to dishes to whatever you want. It uses that vertical space behind your faucet, is affordable and instantly cleans up your counter and sink area. The one below is another option if you want a simple shelf, but these over the sink systems can really organize your space and save you all kinds of room and makes it easier to clean too. This simple storage unit works really well over double sinks. It uses that little bit of space you have between your sink and the backsplash and will store all kinds of things you might normally have on your counter. It works really well in small spaces! Click on the picture or the link to see it in use. If you are trying to get things off your counter this will work well and is an affordable option. Hopefully the above kitchen organizing products gave you some ideas for your kitchen. You can use the space you have better with many of these cabinet organizers. If you want to see more ideas click the above link. This is a super effective way to add more counter space while cooking. Simply place this over the sink and you now have a place to chop and dice or simply stack some ingredients or even the plates. Perfect for a small kitchen with limited counter space. Most spaces under the kitchen sink tend to be reserved for that clutter of cleaners. Since there are mechanics to your sink or dishwasher quite often under the kitchen sink, this space has not always been the best utilized. But there are some really cool additions you can make that will now turn that space into useable and easy to navigate. If you have a double door under your counter and sink, then this unit will fit right in. It is a sturdy way to get rid of clutter and organize the things you like to keep in this space. It fits around the drains and plumbing and instantly adds more storage space..
Wall Organizer for Pots and Pans and Lids - If you have he wall space this is a great way to get the pots and pans out of the drawers and cabinets and make room for other things. This is a decorative way to store them and they are handy when you need them. Storing pots and pans can be a real pain. 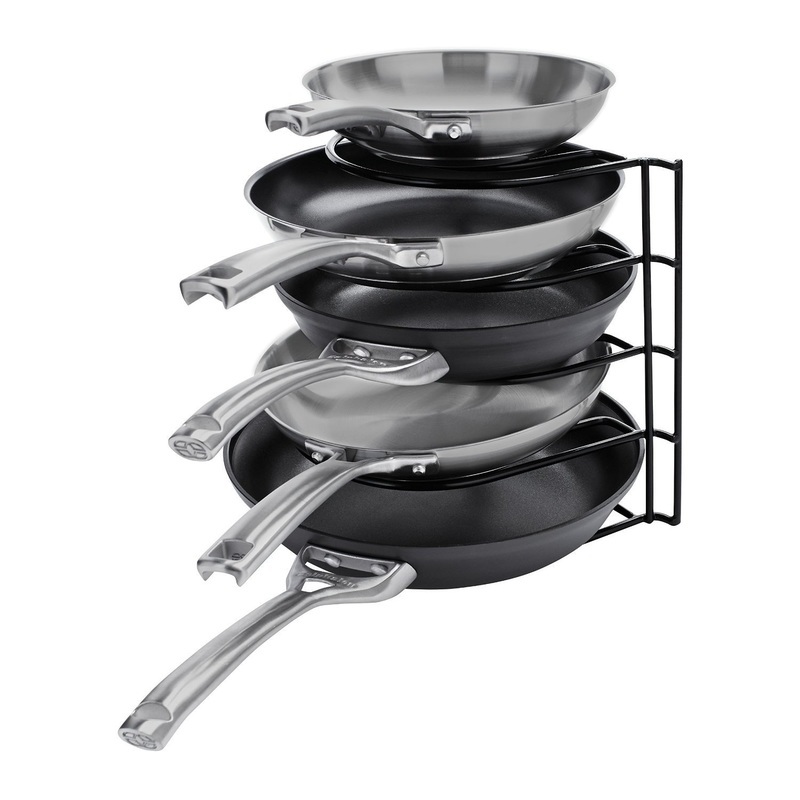 I tend to keep mine in the drawer under the stove, but if you have a lot of different sizes you can get racks that accommodate the pans you like to store. The above example is great for frying pans, but you can also get ones for pots and other sizes. Just click on the link to find out more. It can go into an existing cabinet or it can also be mounted. This protects the surfaces from scratches and helps to organize your kitchen. ​I hope the above ideas will get your creative juices flowing when it comes to organizing your kitchen in such a way that you use all available space and nothing is wasted. Sometimes all it takes is a rack in a cabinet to separate dishes or the insert in a junk drawer and you are using that vertical and horizontal space. Take a look at your kitchen and make a note of the most difficult areas and invest in a few accessories that can make your life easier and more organized.